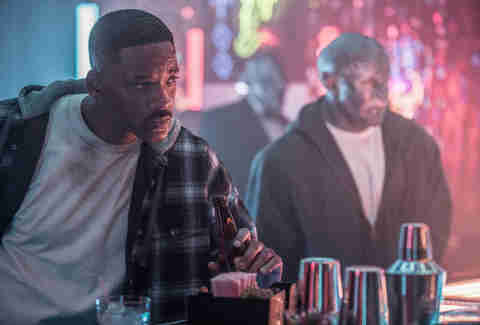 By now curiosity has likely gotten the best of you, and lead you to click play on Netflix’s polarizing new feature, Bright. The film, which stars Will Smith and Joel Edgerton, was directed by Suicide Squad’s David Ayers, who gets another shot at creating a strange, fantastical world without having to worry about preconceived expectations. Here, he builds a potentially expansive universe, one in which magic and magical creatures are real and exist normally amongst humans. 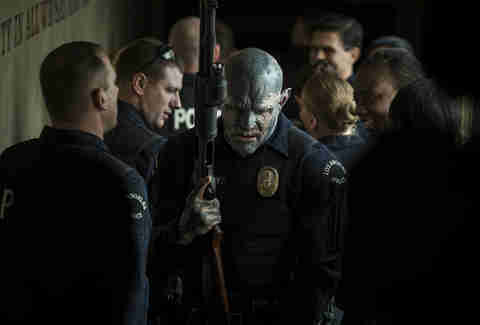 Set in an alternate-universe Los Angeles, Bright follows two cops, one human (Smith) and one orc (Edgerton) who encounter a magic wand that’s being sought by those who want to use it for evil. It’s up to Smith’s Daryl Ward to save the universe and discover his own powers, which are apparently quite vast. 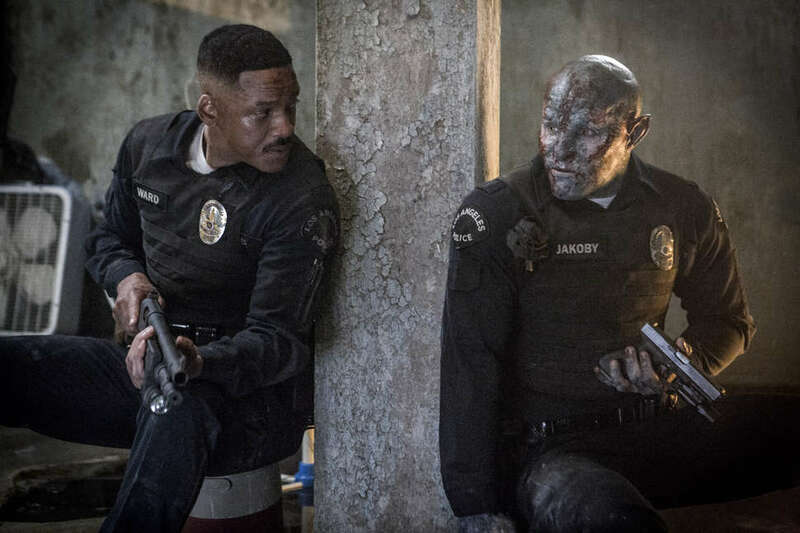 The rules seem complex and unlike those in other fantasy genre pieces, particularly since not everyone in Bright can wield the magic. We spoke with Ayer about how he and his team imagined and constructed the elements of this world, including the magical languages and the wand itself. Is Netflix's 'Bright' Actually the Worst Movie of the Year? Thrillist: What sort of rules did you have to think about when it came to this new universe? David Ayer: A big part of the movie is: How do things work? What’s the history of the different cultures? How does magic work? What can it do what can't it do?" The most important probably is that only a Bright can touch a wand. So to be clear, people can’t just use magic at any time? Ayer: Exactly. Otherwise, it’s too out of control. Were there any rules for how the action sequences would work in this world? 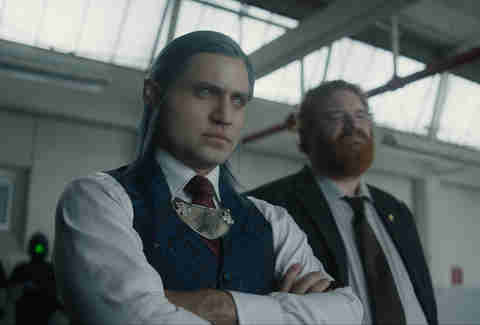 Ayer: If you’re going to fight an elf, they’re stronger and faster than people. Orcs are slow, but they’re really strong. They can throw you across the room. We had to design the fight choreography around those ideas. That was the fun of building these sequences: How do we craft a fight language around these different capabilities? There’s a lot to figure out beyond that, too. What’s the living history of what we’re seeing around us? What are the layers? What are the signs? Signs had to be in orcish, signs in elvish. What do they look like? How has the world evolved with these different species living side by side? Is it meant to be set in present day? Ayer: Yes, it is. It’s what it’s all about. It’s a genre mash-up between an LA hard police thriller, which I have a history making, and these incredible elements. You take orcs, elves, fairies, magic and ground them in present-day Los Angeles, and that was the fun of making this film for me. How did you come up with the right visual tone for the film? Ayer: We shot on old Cinemascope lens, this old, priceless lens set. We call them the Lawrence of Arabia lens because that’s what the film was shot on. So they’ve been around a long time. We used a very large format camera. You combine that with my cinematographer Roman [Vasyanov], who I’ve worked with quite a few times and is a savant with light. We wanted texture and a grittiness and an accessibility to the images. We wanted to be unique. We wanted to push the look. That’s what a great about Netflix, it really gave us the resources to have a beautiful image. What was the process of developing the fantastical creatures? Ayer: It was a long process. We did lots of makeup tests. The orcs were the first design element to get going and the last element that really snapped into place. There were illustrations and then sculpts -- you keep working it. Finally, we got to the point where we could try things on camera. And then you pull your hair out and go back to the drawing board. But [the final product] is incredible. Joel’s makeup holds up so well to camera. You really feel his soul. You really feel the soul of the character he’s creating. He has a couple pounds of latex on his face, but he’s still so present and so amazing in his performance. We tried to build it around his features so we can really feel him inside there. Do these creatures have a metaphorical counterpart in the real world? Ayer: It’s the have’s and the have not’s. The elves are the One-Percenters in a way. They live behind walls and get to enjoy lots of luxury brands and nice cars. The orcs are regular working folks who are just trying to get by and don’t live in the best neighborhoods. How were the different creatures’ languages developed? Ayer: David Peterson, who is a language professor, came in and helped us out and created these languages. He did the languages for Game of Thrones. He crafted, out of whole cloth, the orcish language and the elvish language. I think he might be the only one who understands what’s being said on screen. On set, he would run in and correct the actors, like "You’re pronouncing it wrong!" He’s very specific. What are the rules of the wand, both in how it looks and what it can do? Ayer: The idea of the wand is that it’s based off of a human arm bone. We wanted it to feel like an organic thing. Maybe it came from a Bright who lived thousands of years ago. I didn’t want it to be clean and I didn’t want it to look like any other magic we’ve seen before. We based it on real physics to give it a natural quality. If a Bright has the wand and knows all the magic spells, can they theoretically do anything? Ayer: No. They can’t. We don’t know the exact rules yet, but you can’t do anything. You can’t be too powerful. Is it purposeful that the film opens with almost no exposition about the state of the world? Ayer: For sure. Sometimes in movies, I feel like we get a lot of lectures -- lectures about rules, lectures about history -- and in this case, I trust the audience. I think people are very smart. Sometimes smarter than they’re given credit for. It’s OK to be hungry. It’s also OK to not have everything handed to you and to think about the movie and talk about it when it’s over. I think that’s kind of the problem with movies these days. Everything is so self-contained that we’ve forgotten, "How do we leave the audience open for questions and discussion?" Is the finale of the film, as we realize Ward is potentially a Bright, meant to be open-ended? Ayer: It’s finite for the movie, but it’s also open-ended. It’s a big universe, and it really could go in any direction. Do you have plans for more films in this universe? Ayer: We’re going to see what the audience says after it releases. I wouldn’t hate making another one!